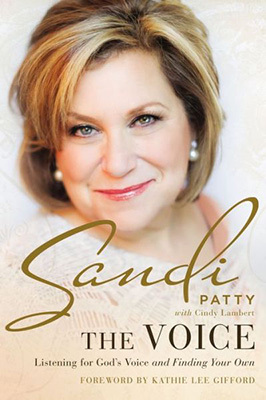 Through deeply intimate stories of her life and the empowering spiritual truths she's learned, Sandi offers readers wisdom to navigate the journey from voicelessness to discovering the voice God has given you. With a poignant history of sexual abuse, infidelity, divorce, and crises of self-image, Sandi lived much of her life feeling unworthy of love or value. And like so many of us, she coped by living through the voices of others, allowing other people to prescribe her identity. As she performed around the world, Sandi met others just like her, who hid wounds behind quiet smiles and struggled to live with fractured identities. Sandi's warm and invitational writing will draw you to the voice of God who sings over your life saying you are seen, you are loved, and your voice is worth hearing. With timeless wisdom, The Voice will help you uncover your God-given identity and a voice of your very own. "God heard my voice even when I couldn't hear it myself and then his voice broke through my walls and wounds, insecurities and self-doubts. I am voiceless no more "